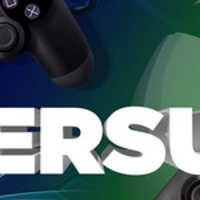 So, the question is, who will win the Next Gen Console war? What do the odds look like for each of the two manufacturers? Microsoft is releasing the XBox One. This large console comes with features that will allow it to operate as more than a gaming console, but a complete media device. It even comes with a Kinect built right into the system so the family's entire world of entertainment can be controlled by the voice or a wave of the hand. Of course, there are improved graphics, brilliant new technology, and a line of new games that will be released exclusively for the XBox One as well. What does Sony have to face off with this large piece of technology from Microsoft? The Sony Playstation 4 is not focusing on adding more this time around, but making what they already made last time that much better, and more affordable as well. Sony has an unbelievably large line of games that will be coming out exclusively for the Playstation 4, including beta versions that will not be available on any other console. The games are designed to get the people going. Playstation has also upgraded the graphics, the capabilities, and the look of its new console, but instead of going bigger, it's going smaller and super sleek. So who seems to be winning the race as of now? While many places have sold out of pre-order availability of both consoles, and the real results won't be until the release dates, which are undetermined as of yet, critics seem to think that the Playstation has what it takes to win the race. Why? Simple reviews have found nothing to complain about with the new Playstation system, and that can't be beat. Only time will tell in this race.